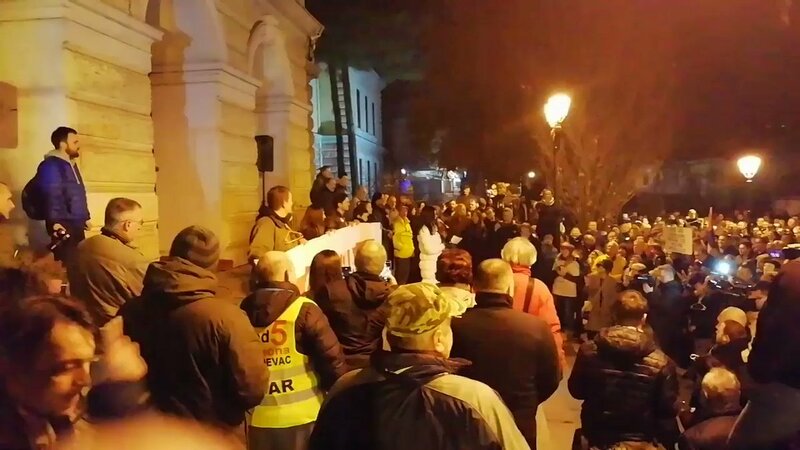 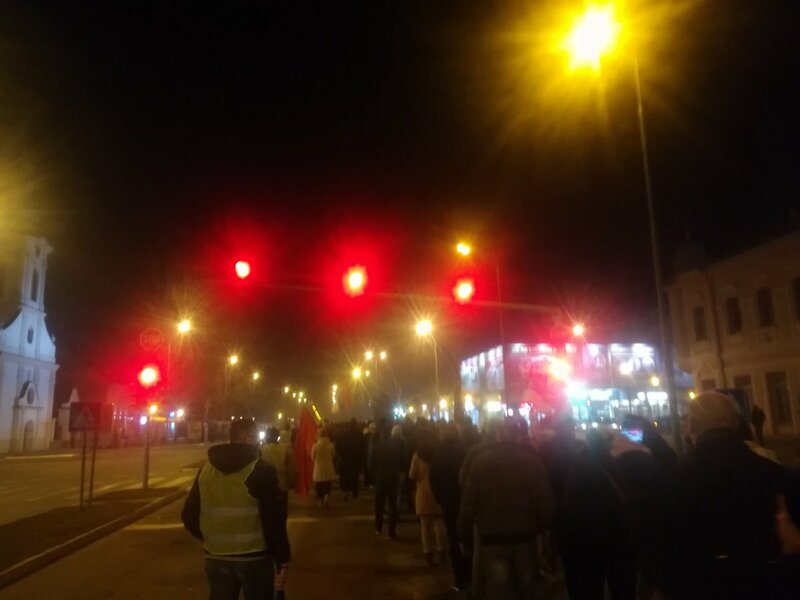 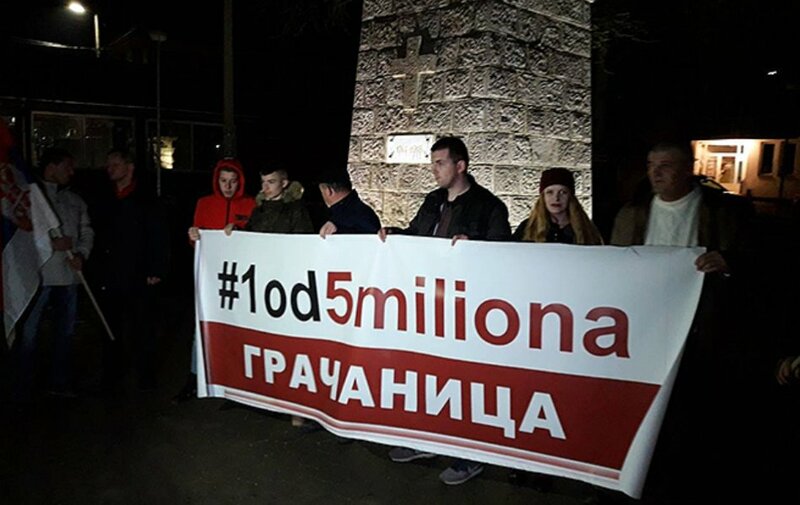 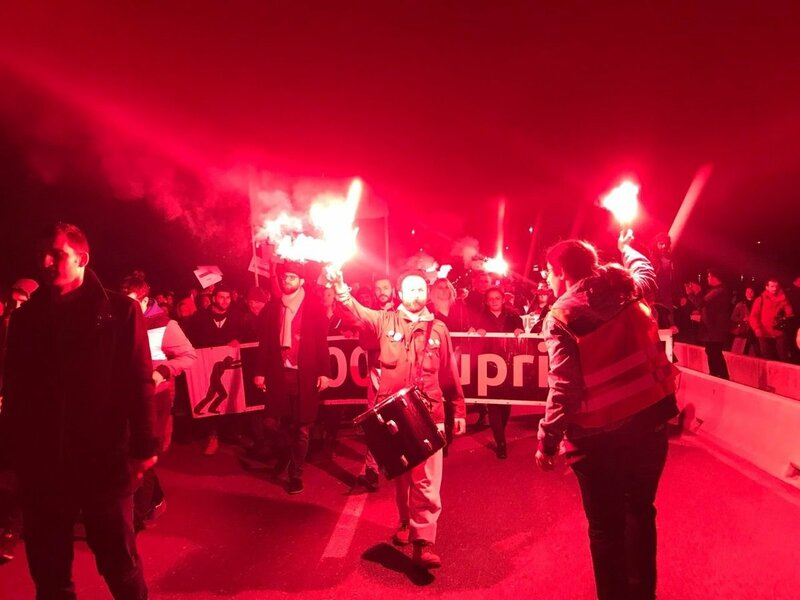 Hundreds of Bulgarian nationalists marched in Sofia tonight for the annual Lukov march, which draws Nazis from across Europe to honour a controversial WWII general known for his anti-Semitic views. 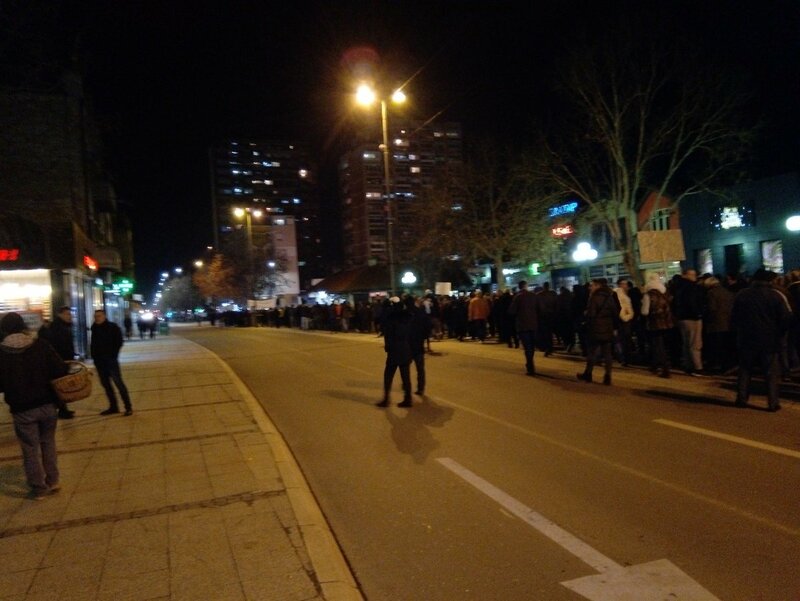 A small counter rally was held earlier in day. 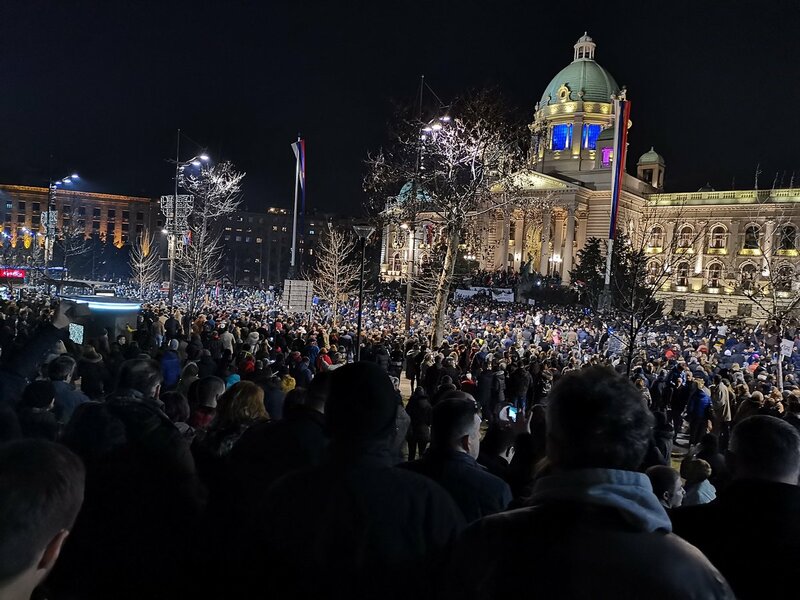 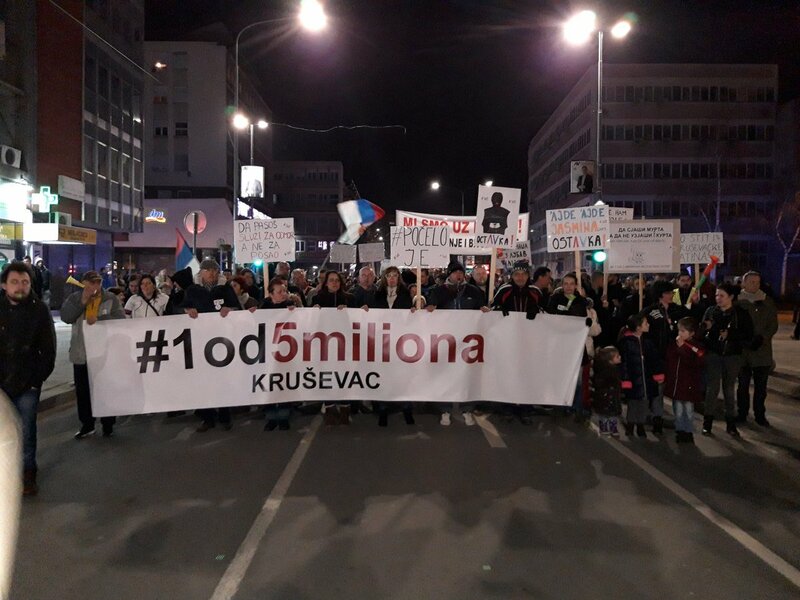 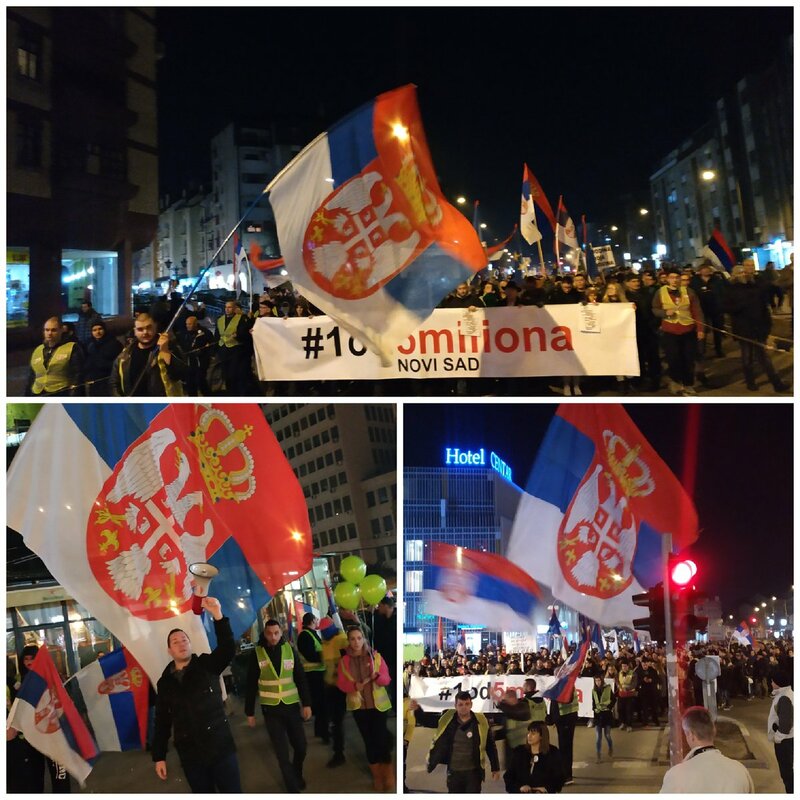 The 11th weekend of anti-govt demonstrations in Serbia saw tens of thousands of people at tonight's rally in Belgrade, while many other cities and towns held their own protests. 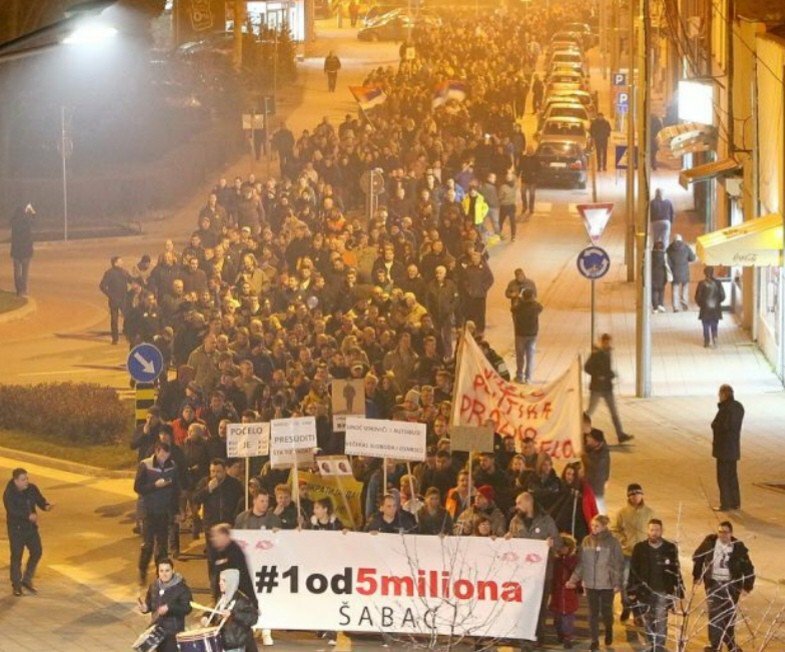 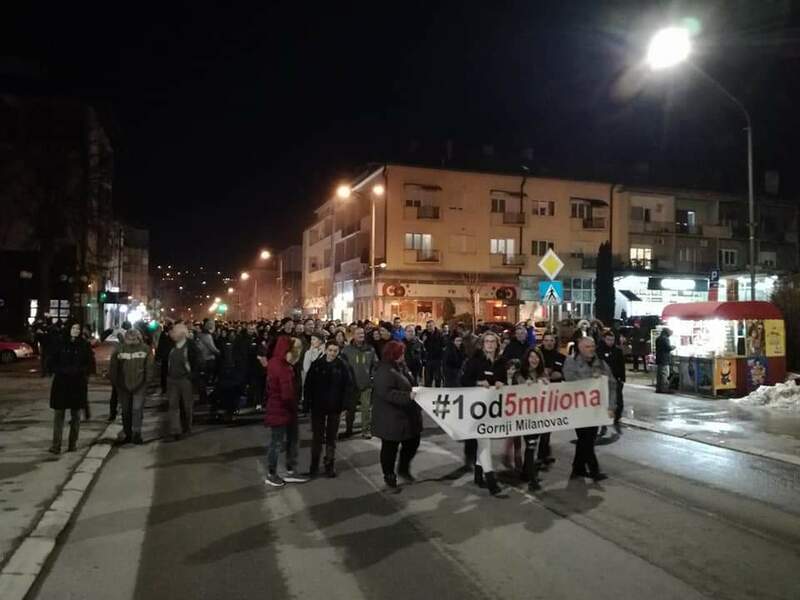 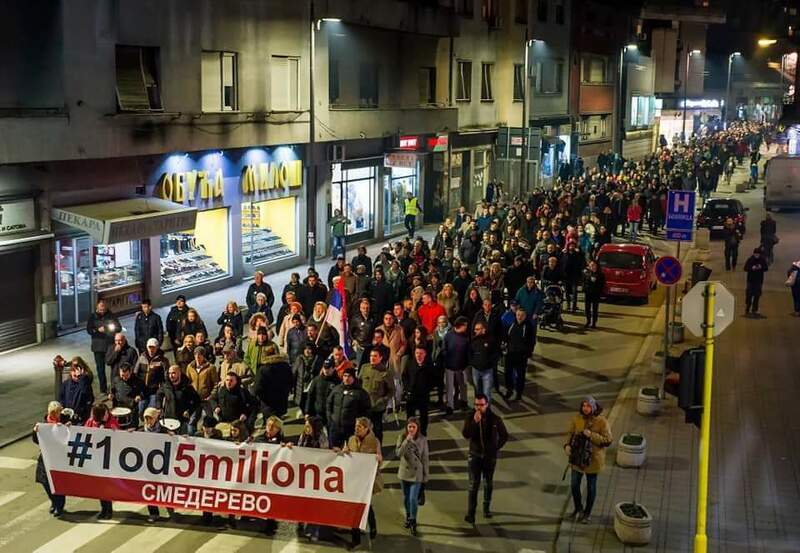 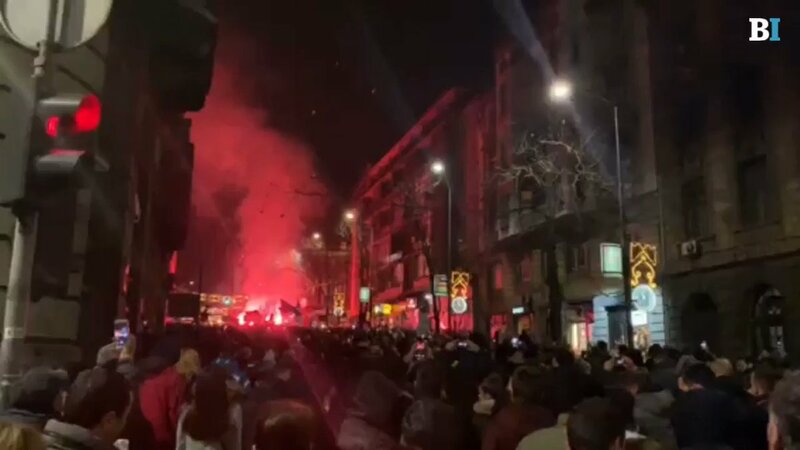 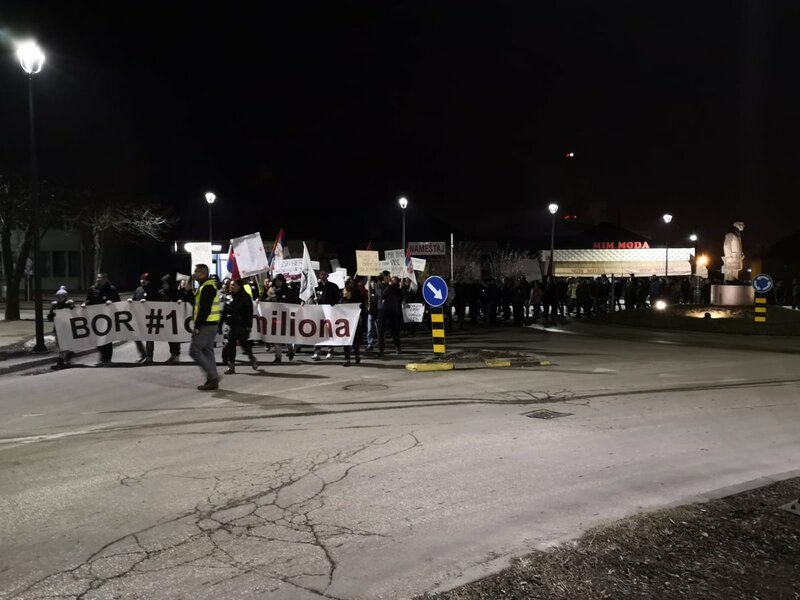 Tonight's anti-govt protest in Podgorica, Montenegro, has ended, with some 5,000 people coming onto the streets to demand the resignations of the country's main leaders over allegations of corruption. 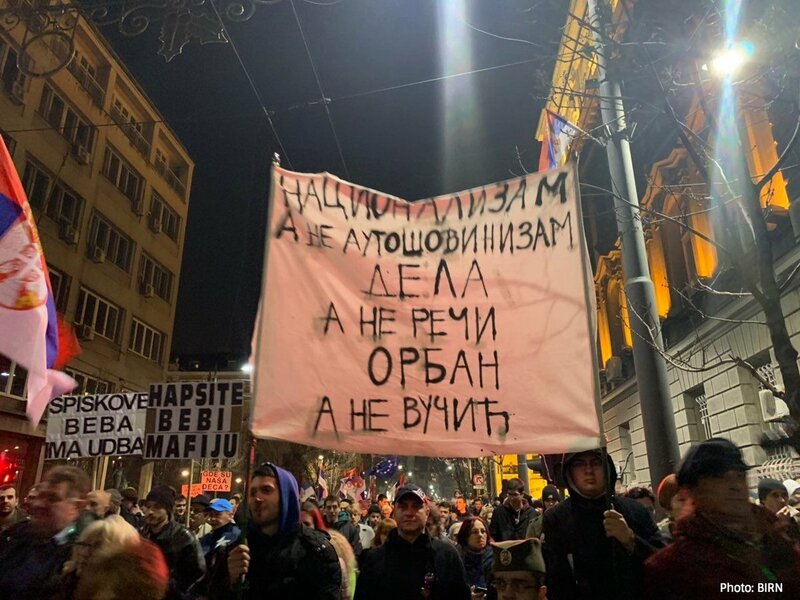 Outside the Serbian Assembly in Belgrade, anti-govt demonstrators let off flares to mark the end of tonight's #1od5miliona protest. 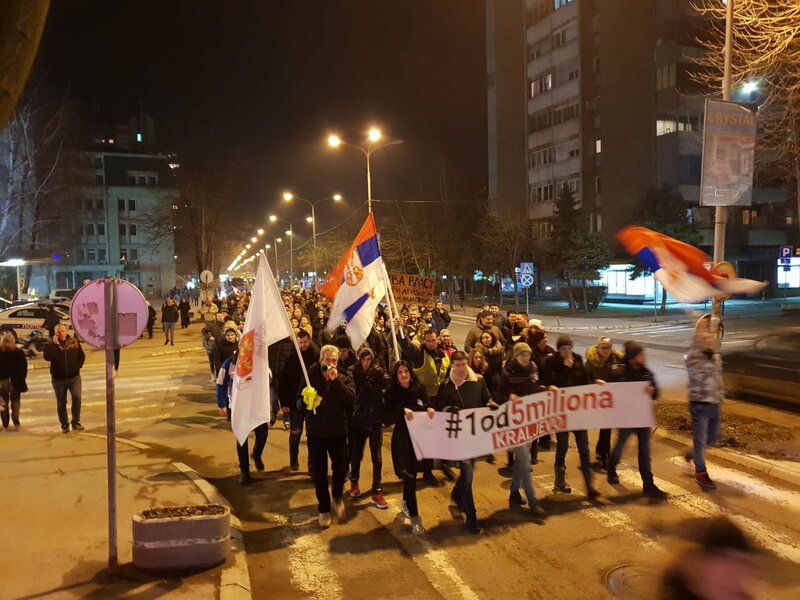 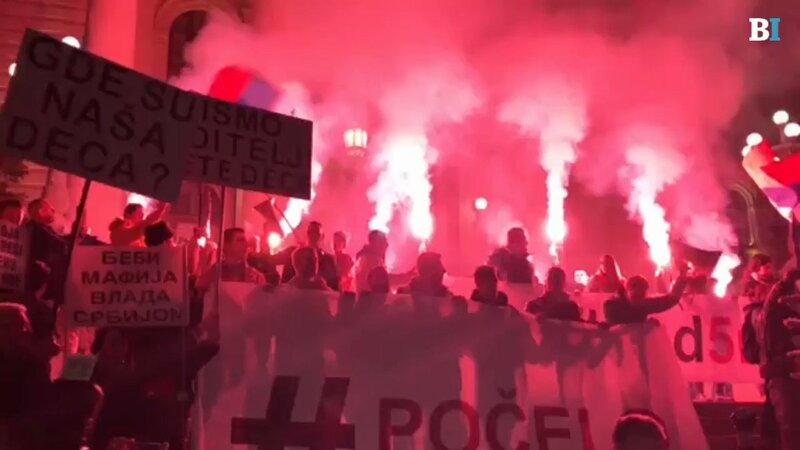 A stream of thousands of anti-govt demonstrators are marching tonight through Podgorica, Montenegro, demanding the resignations of the country's main leaders. 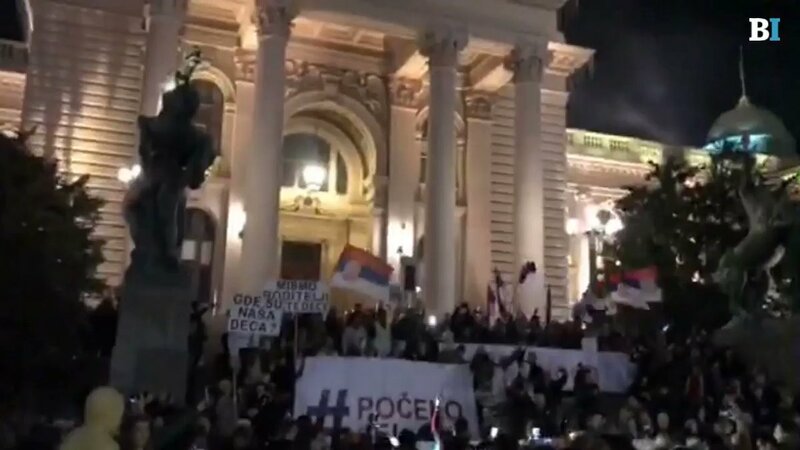 Their route goes past the govt building, parliament and presidency. 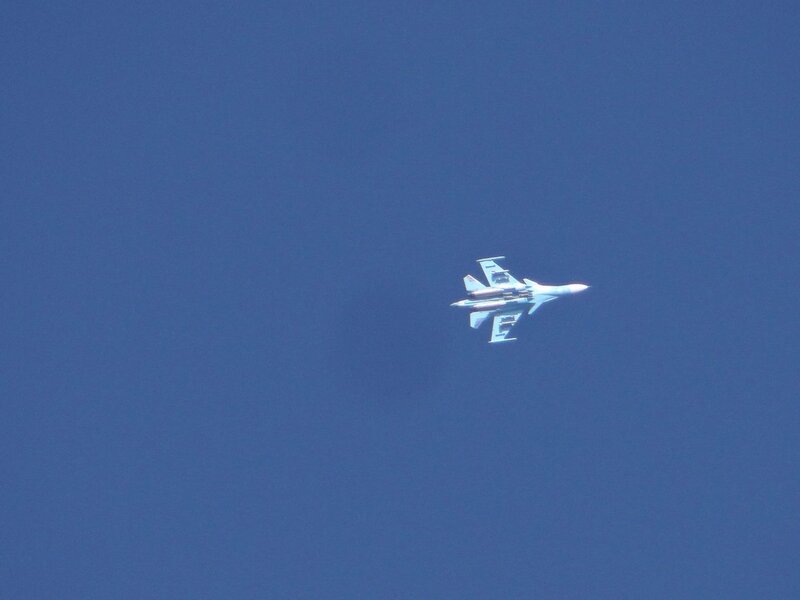 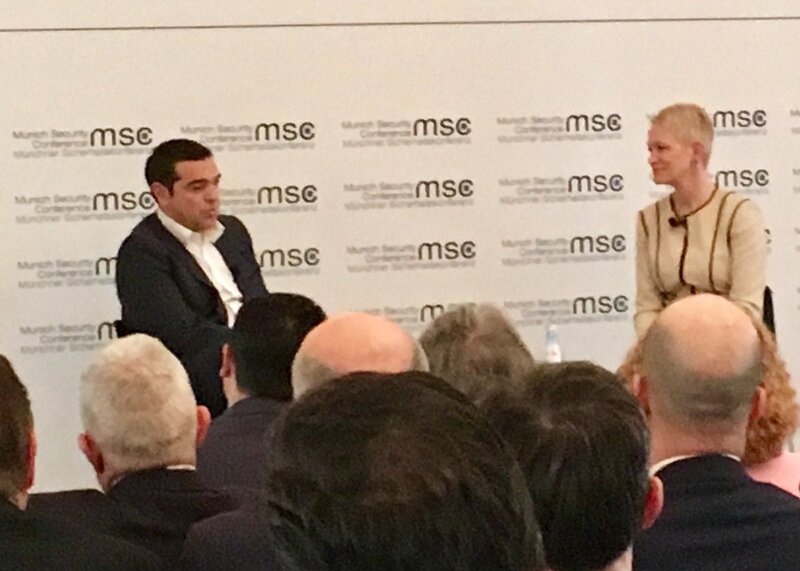 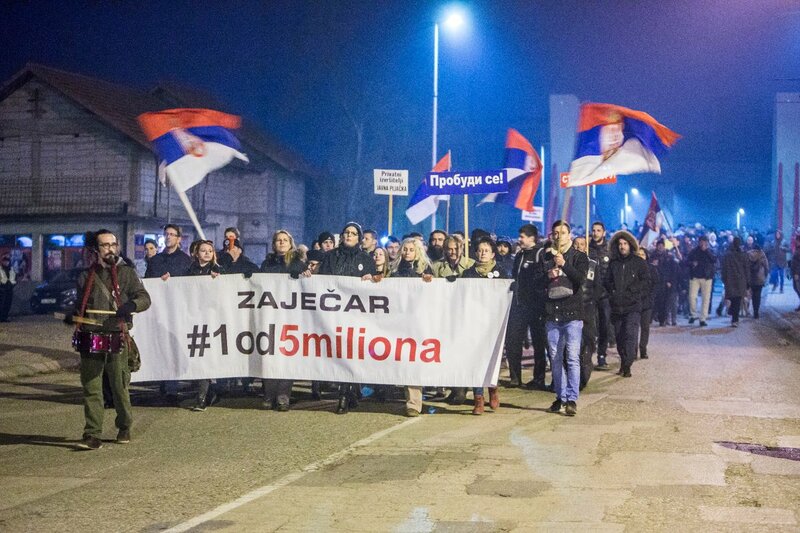 "It is enough of him [Serbian President Vucic] and his ministers. 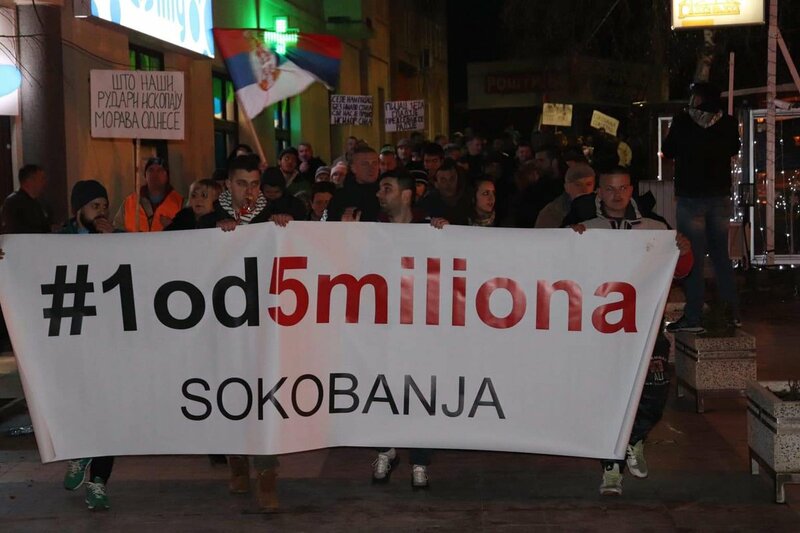 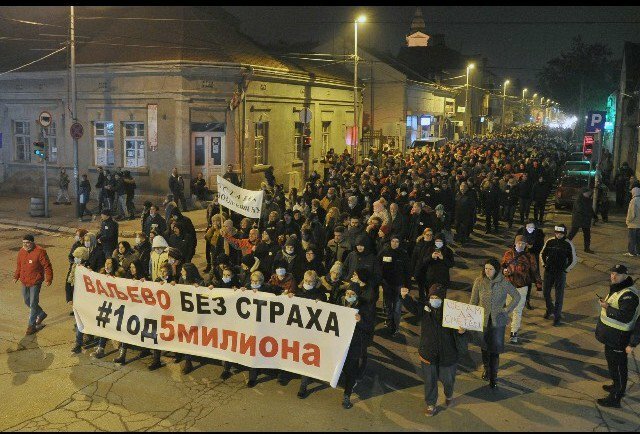 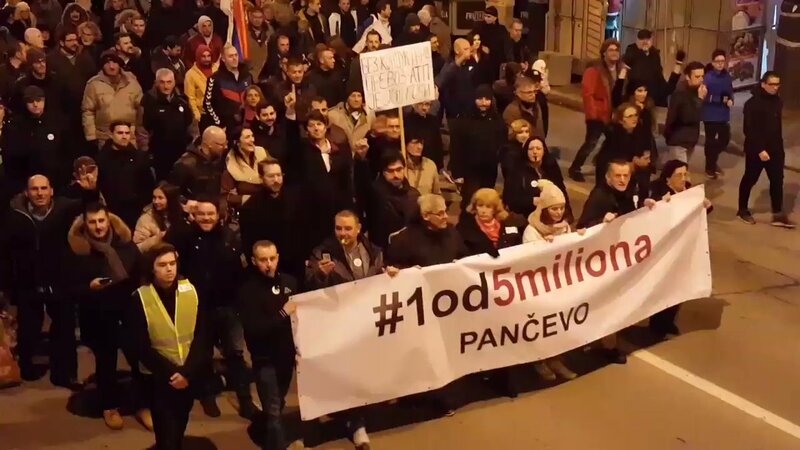 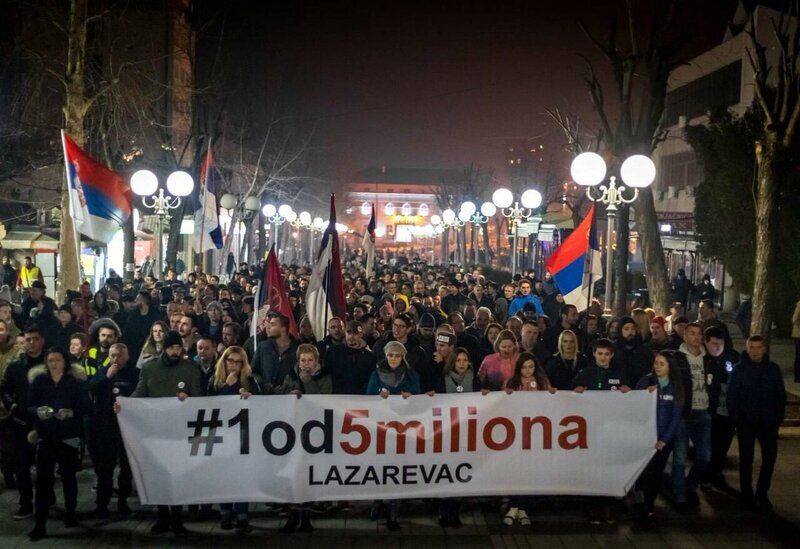 People say enough," lawyer Bozo Prelevic told the crowd at tonight's 1od5miliona anti-govt rally in Belgrade. 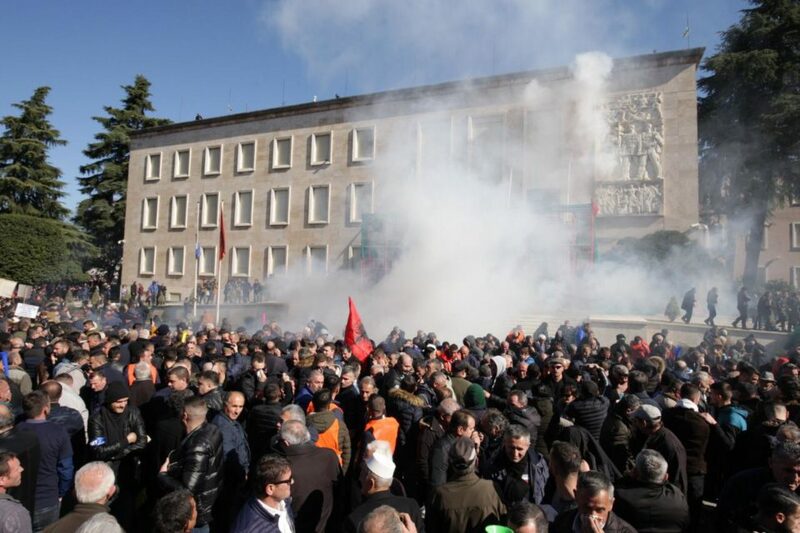 Today, thousands of protesters clashed with police in an anti-govt rally held this afternoon in Tirana. 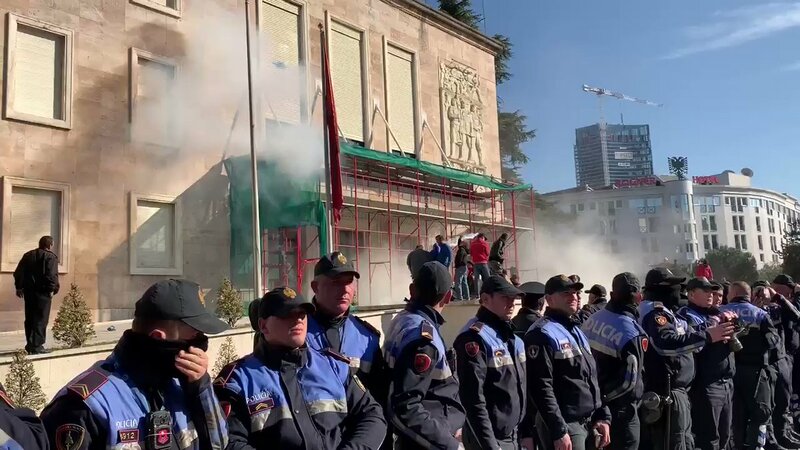 About 15 people, including five police officers were injured and are under medical assistance from the today protest, reports the Ministry of Health. 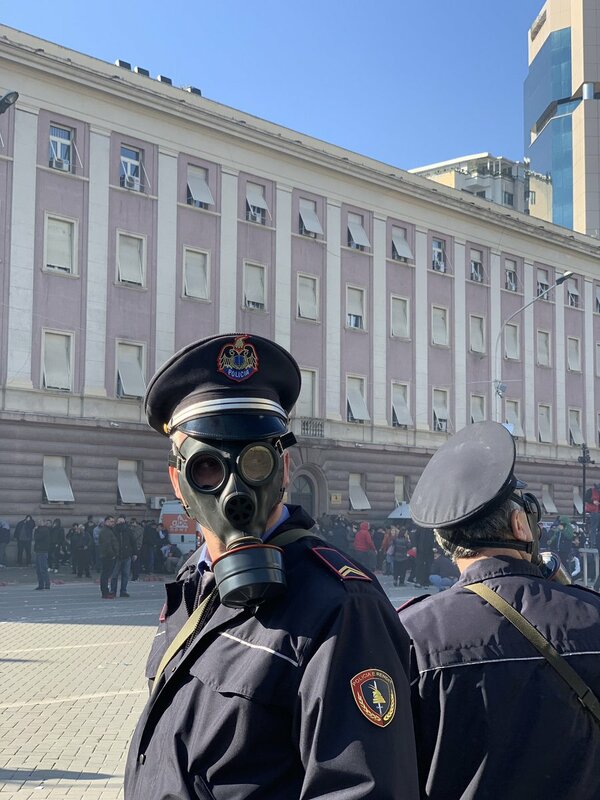 Tirana: Police are repeatedly asking protestors to respect the law. 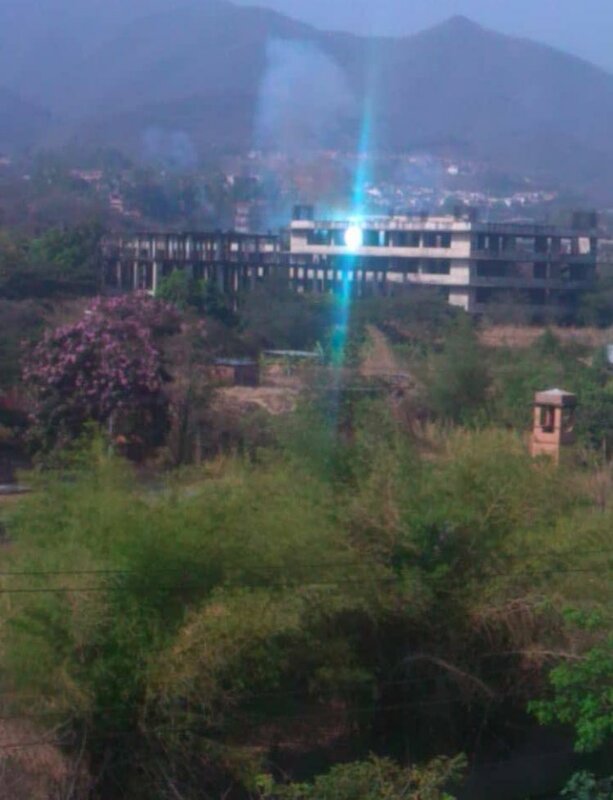 On top of the building you can see speakers used to instruct the crowd. 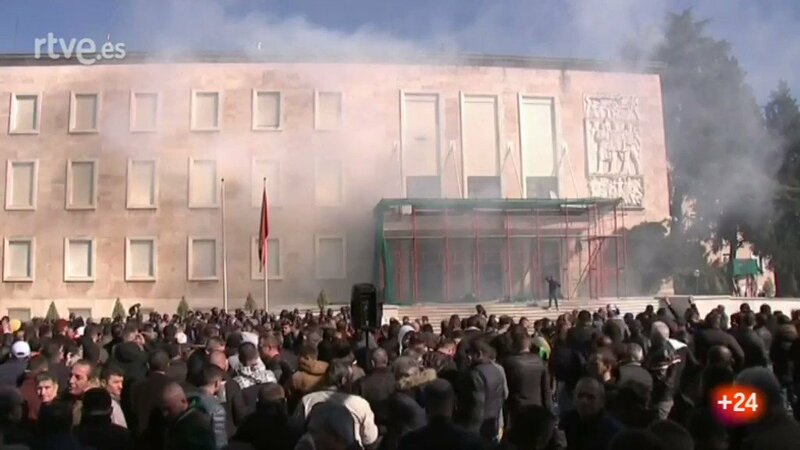 Tirana: Rocks are being thrown at Police officers guarding PM office. 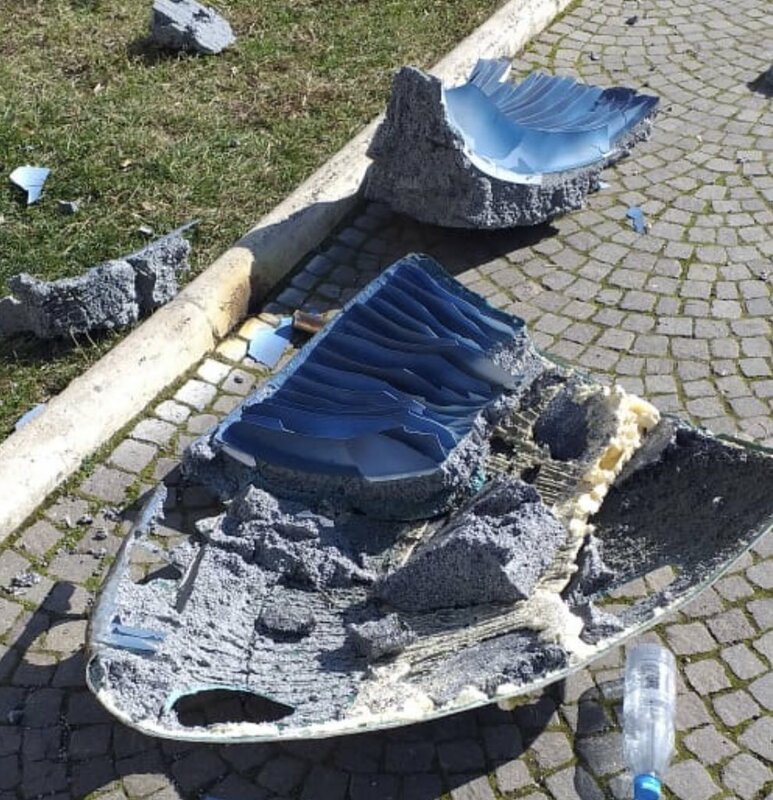 Opposition supporters in Albania during a protest today have destroyed also PM Rama's favourite "mushroom" sculpture in his office garden. 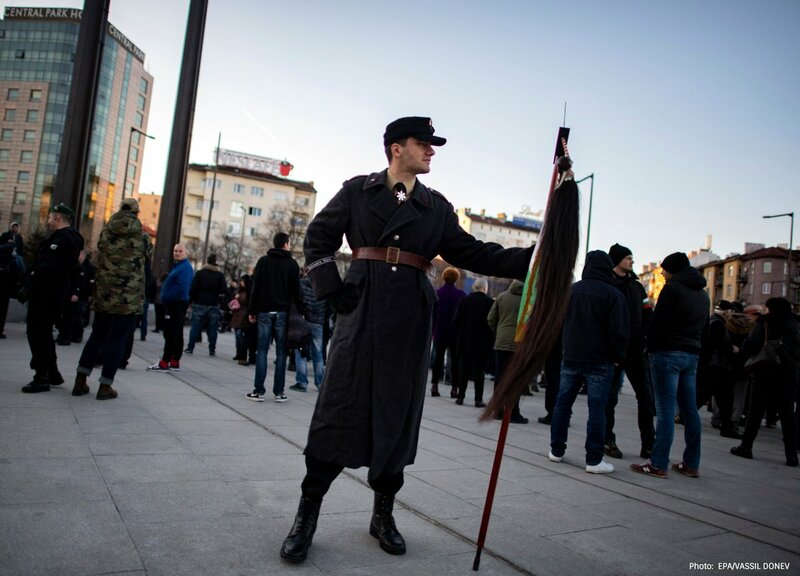 He took to social networks to express disappointment and apologies to the sculpture artist, Carsten Holler. 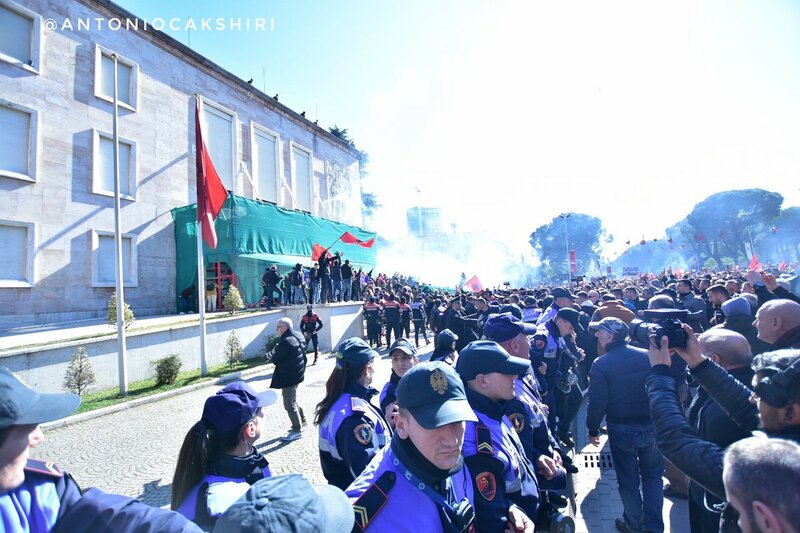 The United States Embassy strongly condemns the violence and destruction taking place during today's protests in Tirana. 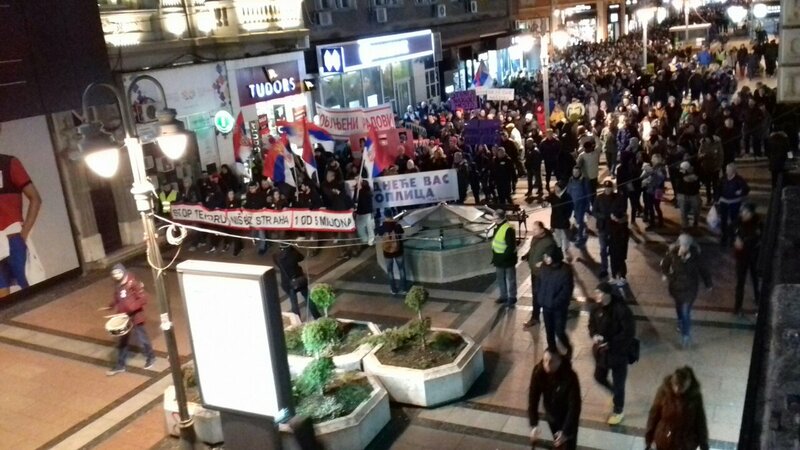 We support the right of citizens to peacefully protest, but the damaging of public property and violence are not acceptable. 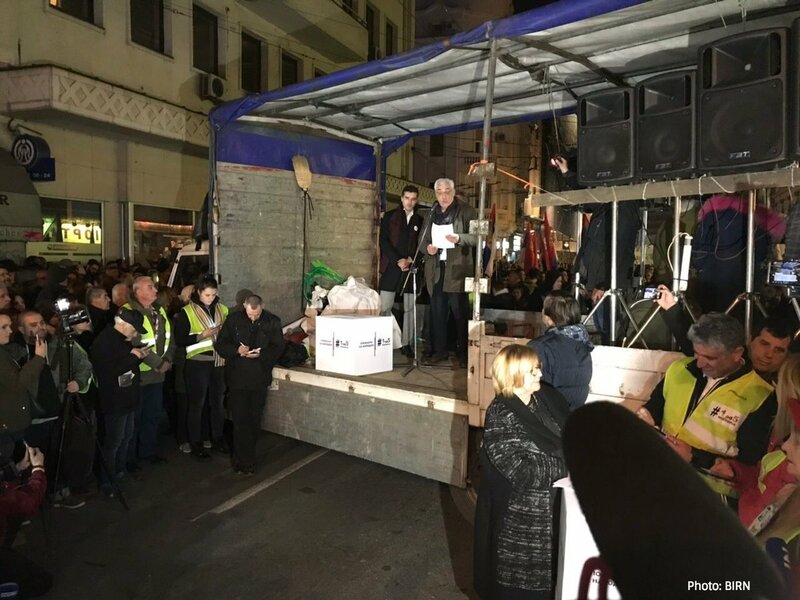 British Amb. 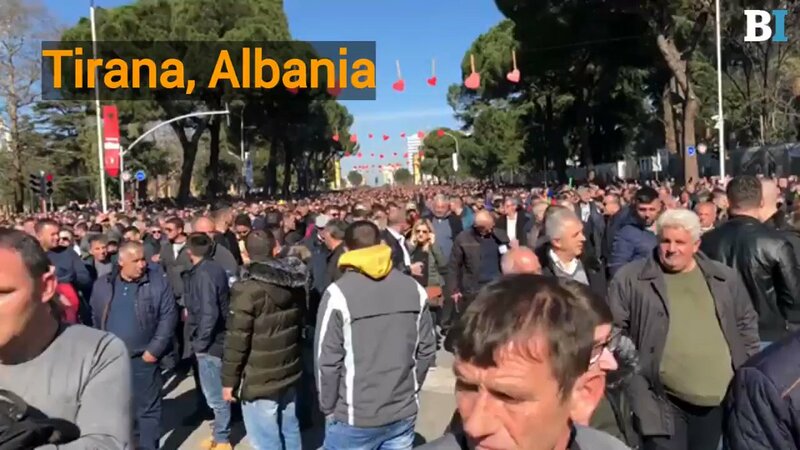 to Albania: We support those on all sides who are calling for peaceful demonstrations. 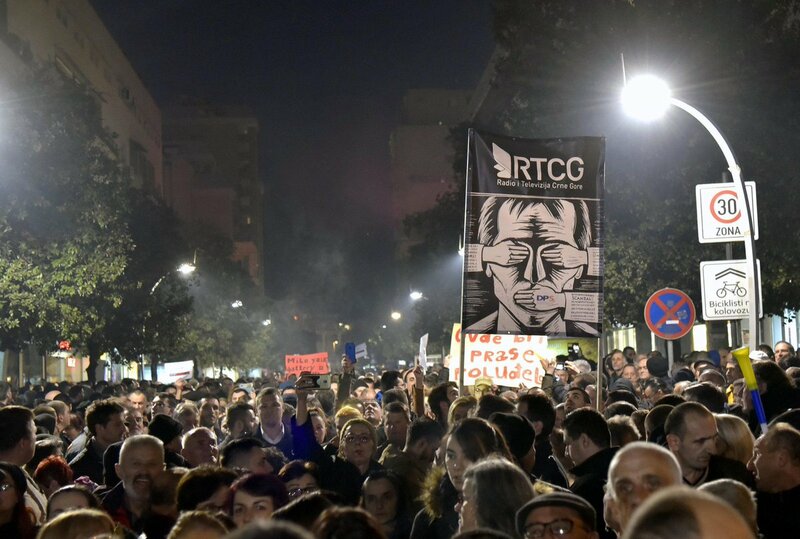 This is a time to respect the rule of law. 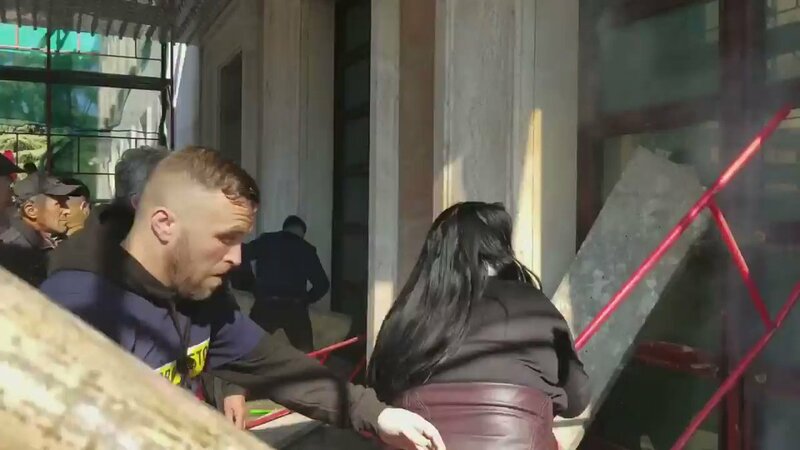 Protestors in Albania are trying to break into main entrance of PM office, trying to force their way into the main government building of Albania. 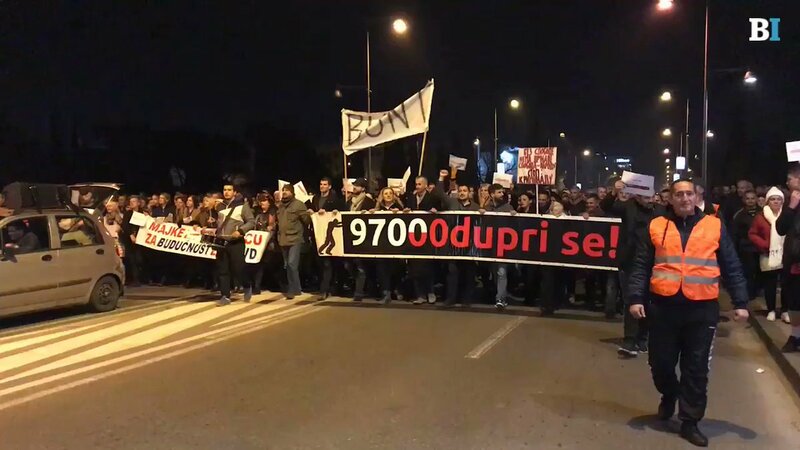 The protest is organized by opposition of Albania.